BELCO has just completed electric vehicle training for its Fleet Team as it moves towards a 100% electric fleet. 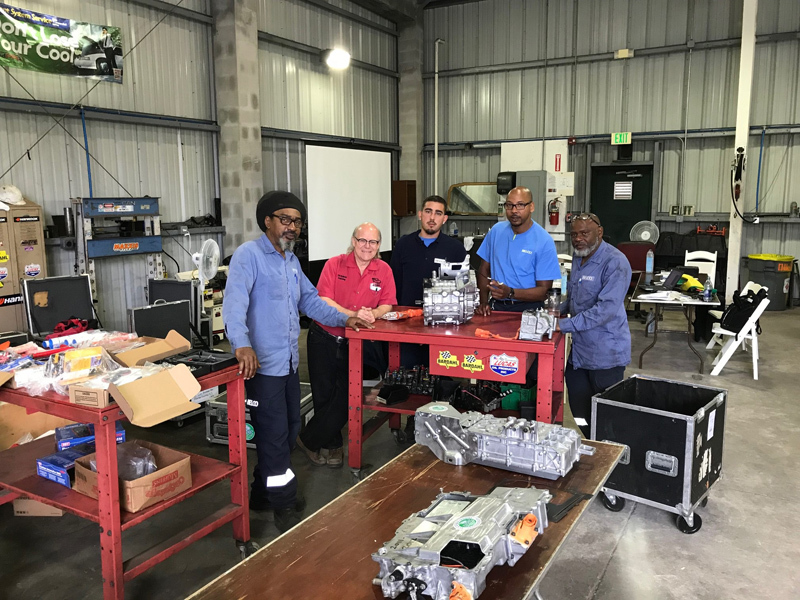 The five-day training was carried out by Craig Van Batenburg of the Massachusetts-based Automotive Career Development Centre [ACDC], which has provided training all around the World. Jason Simons, Anton Daniels, Nigel Lewis, Aesop Smith and Andrew Cabral completed the training session and BELCO hopes to move to City and Guilds qualifications for all BELCO participants. 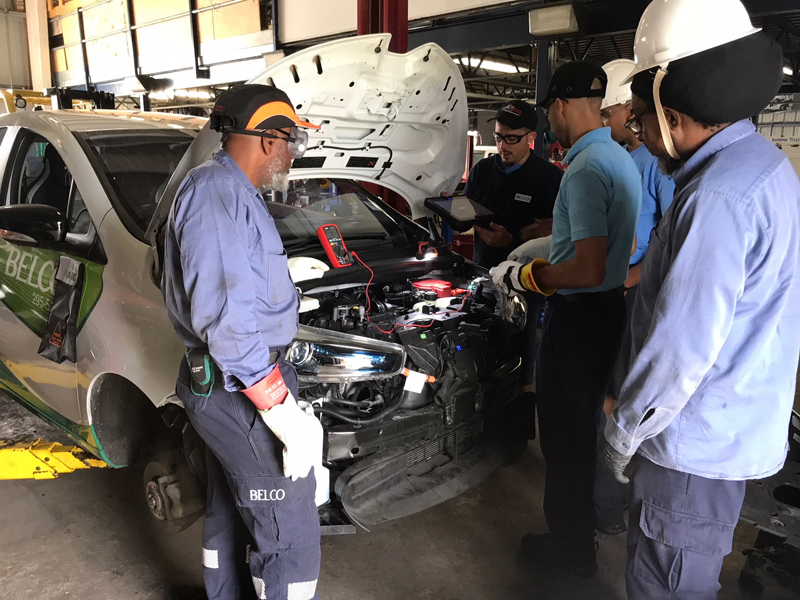 BELCO Fleet Manager, Jason Simons, commented, “Ultimately, our goal is to be Bermuda’s number one service provider for electric vehicles. Already, our technicians have gained valuable insight from this training. BELCO added, “Electric vehicles have increased in popularity as the public becomes more aware of their environmental and financial benefits. BELCO began the electric conversion of its fleet in 2016, when it replaced 12 diesel vans with Renault Kangoo Maxi ZE vans. “To date, 13 internal combustion engine vehicles have been replaced with full electric vans. By June 2018, all of BELCO’s bucket truck fleet will comprise hybrid vehicles and 78% of the van fleet will be electric by the end of the year. Mr. Simons continued, “We are on track to realise our goal of a 100% electric fleet by 2025. Don’t the dealers fix them? Surely they don’t need to bring someone in to train the electric company to drive electric cars? I am told they need next to no servicing anyway. Well done BELCO! Knowledge is power (no pun intended)!